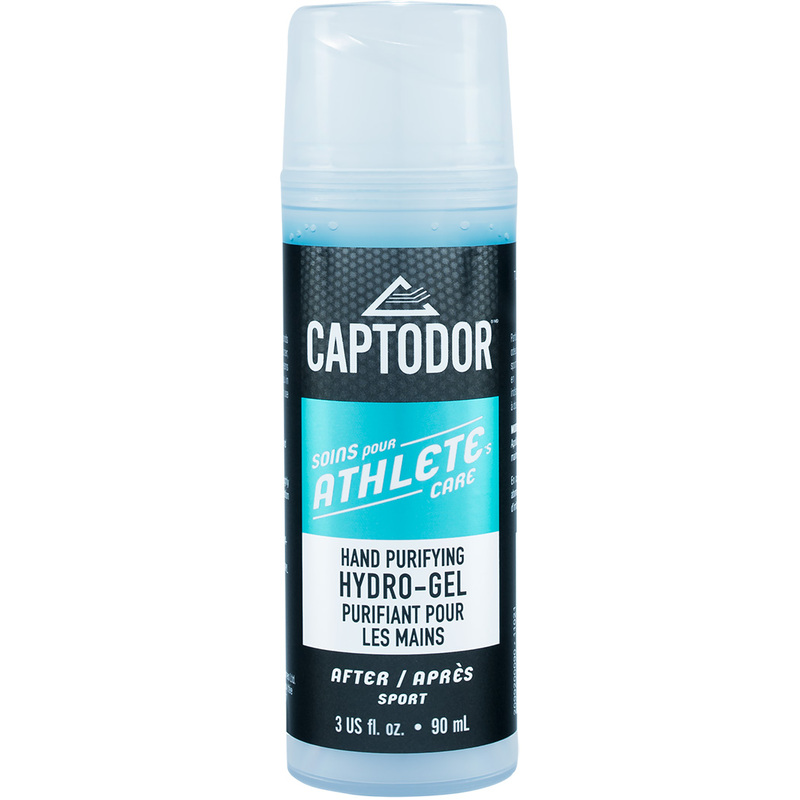 CAPTODOR® Athletes Care Hand Purifying Hydro-Gel is an after-sports gel to eliminate unpleasant odors that emerge after wearing gloves (hockey, golf, cycling, boxing, etc.). The purifying hydro-gel kills bacteria causing foul odors. Hydro-Gel is quick and simple to use: apply it to your hands and let it dry. Doesn’t dry out the hands, unlike alcohol-based products. Provides a gentle, fresh feeling. Practical format well adapted for sports bags, backpacks and lunch bags. pH harmonized with skin’s pH.